You may be aware that another revision to the health and medical record form has been announced. The new form, expected to be officially released this month, is intended for use across all BSA programs, from the unit level to Jamboree and high adventure bases. The main changes include being bilingual (English & Spanish) and some of the pages being scannable, as with the current membership forms. While it’s intended to provide comprehensive information for Jambo attendees, it becomes mandatory for unit use in January 2014. The prospect of having to figure out yet another revision to the form can be annoying at best, and daunting to some, but its intention is to provide an improvement in the safety and health of both our youth and adult participants. The inconvenience of having to complete it annually, and for long-term camping to have a medical exam each year, is outweighed by the peace of mind that comes from knowing that everyone’s health status and the information that can help in an emergency is all in one place. Our troop doesn’t use the Boy Scout health form because nobody likes it. It has not been an issue for us – our troop never goes to Boy Scout-owned summer camp, or any of its high adventure bases… At a district camporee we ran into a problem when the medical officer said he would not accept our troop’s own medical form, but when I threatened to take our boys and go home, he changed his mind… We try to get a new form from the parents each year, but the parents resist doing so because “the information hasn’t changed”, so we let it slide. We’re thinking of enforcing it but we haven’t gotten that far yet… One of our troop parents is a pharmacist and is reviewing all the medication information to see if he sees any problems with it… I take and enter all the medical form information, along with every possible phone number, into my cell phone so it’s available at any time in case it’s needed, but we don’t keep the forms or personal information like social security numbers with us on campouts because of the risk that someone will break in and steal the information… We’re also careful about how much of a Scout’s information we share with the SPL and his patrol leader, but it’s kind of hard to keep a boy’s condition confidential if he needs to be awakened at 6:00 am to take medication. “Because nobody likes it” is not a reason not to use the BSA mandated official health form. 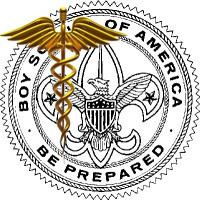 In fact, the instruction section accompanying the health form gives the BSA policy on use of the form, which states: Parts A and B are to be completed at least annually by participants in all Scouting events and Part C is the physical exam that is required for participants in any event that exceeds 72 consecutive hours, for all high-adventure base participants, or when the nature of the activity is strenuous and demanding. Service projects or work weekends may fit this description.To me, this makes it clear that BSA expects us to use the form as designed, and not to either use our own form or just skip it. Despite its frequent revisions, the health and medical record form is intended to collect and document the information pertinent to our outdoor program with its inherent risks. A unit should not attempt to reinvent or circumvent the BSA’s well-researched process just because they don’t like the form. Assuming the need for health forms was stated in advance, the camporee should have refused registration if the BSA health forms were not provided. Our camporee staff have had to keep a stack of blank health forms on hand for Scouts without them, and they ask to have them completed on the spot – or else, no registration. Once the parents understand why the form has to be submitted each year, they’ll do it. (One of the participants in the discussion thread is a band director and said he has frequently seen big health changes in his students from year to year.) They do for school, sports, church or other activities. Yes, yet another form can be troublesome, but it’s for the boys’ safety. Is the pharmacist parent going to second-guess the Scout’s physician and family pharmacist? What sort of insight could he add? What do you do to provide similar coverage when he leaves the troop? Do the parents know that a third party, no matter how qualified, is looking over their son’s information? Did you stop to consider that your phone could be stolen, lost or compromised far more easily than a binder of health forms locked inside a trailer or an adult’s car? It’s admirable to want to have the information at your fingertips, but bear in mind that there are security risks whenever information is stored in any format. Unit leaders are told that they must always protect the privacy of their unit members by safeguarding the information. As for the social security number, it is up to the parents to decide whether to provide it or not, but the BSA cautions that in many states, medical care cannot be rendered without it. Finally, none of this needs to be shared with the boys. It’s either shared by the parent with the adult leaders, or the parent comes along if it’s critical. While unit leaders may take responsibility for administering medication, they are specifically not required nor necessarily encouraged to do so. Please read the BSA’s annual health and medical record webpage including the list of frequently-asked questions which explains a lot about the form and our policies and procedures. There is also extensive information in the Health and Safety section of the BSA website. Forms are a hassle, no matter how simple, but in this case the health and medical record form is a must. That troop is lucky that the camporee didn’t send his boys home. They should have. Do the families get to choose their own forms for soccer? In California, it is illegal to share medical information with someone who does not need to know. We keep our trip forms in a sealed packet to help with this. Our troop requires Part C for every Scout and adult. We are often more than 30 minutes away from a phone or emergency vehicle, because of our troop backpacking and our remote summer camp (fastest evac is by boat then helicopter). Shame on the Troop and the District Camporee Med Officer. If I was the Med Officer, I would have said, ” Sorry, your not following BSA Rules, I cannot let your Troop attend.” And also add, this is part of “Be Prepared” and your not. Forms are a hassle, but you will like having that info when people need it. Lazy. I have yet to see a doctor who wouldn’t sign several forms all at once at a youth physical. Plan ahead people! If you know that you need Scouting, Soccer, School, and Little League forms in a year, collect them all and bring them to your son’s annual physical. It’s easy. Really. Good grief. Ignore whining parents. 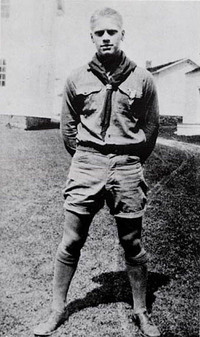 If they won’t join the Troop and committee and all they do is whine, then Scouting is not the program for them. Scouting is for parents. It’s not for boys. Scouting’s goals are for parents. Eleven year olds to about fifteen year olds don’t have goals. Parents are about parenting. If a parent wants what Scouting has to offer then a Troop won’t have problems with that parent. I can’t, for the life of me, figure out why some of these folks even show up. They whine about the money and whine about the forms and whine about everything. Good grief. If you have a couple of whiners, ignore them. Most of the parents “get it” so move on. A Troop that never goes to summer camp? Ignores standard safety and health requirements? 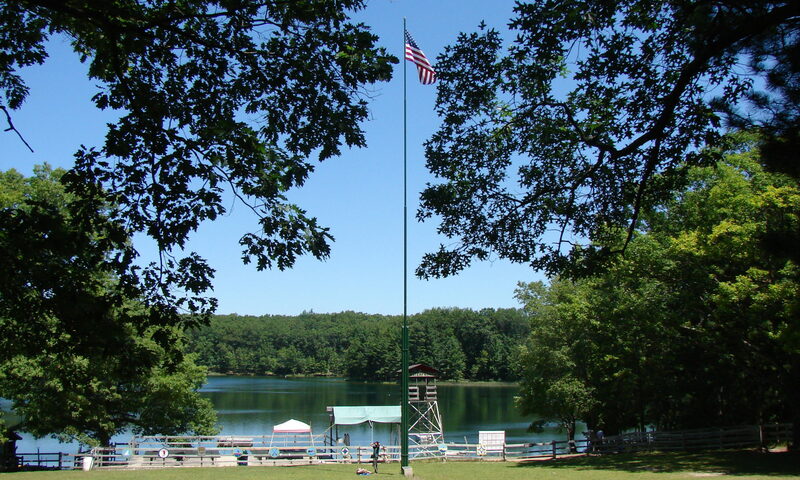 Threatens camporee staff? I would be extremely suspicious of this Troop and it’s program. I would have a strong suspicion that other parts of their program aren’t in line with Scouting policy either.